If you are serious about in-game performance or taking your gaming to the next level, then you need to have the right video card. A fast PC without a proper video card fails vs. a decent CPU machine with a great video card. While casual gamers might be able to use an inexpensive graphics card, gamers who try to rank or play games with the newest level of requirements need one in the $200-$500 range. The rule of thumb for professional gamers is to change their video card out every 12 months. At-home gamers can get away with this every 12-24 months. As you can see we put a variety of graphics and video cards in our list to accommodate for every gamers level of playing. If you simply play an older MMORPG you can get away with a GPU under $100. The GTX 560 gives you great specifications – 1GB/ 256-bit/ GDDR5/ Effective Memory 4200MHz/ Core Clock – 880MHz, for a very reasonable price at $250. Most gamers would be more than happy with a single card with this level of performance, but it’s very tempting for performance seekers to SLI/Crossfire a graphics card in this price range as well. We also included the Sapphire Radeon HD 6950 2 GB DDR5 100312SR which we think is a great deal considering you can flash it to a HD 6970 without much problem. The increased shading options/detail of this card should make it well worth the $275 price tag. If you’d rather not SLI/Crossfire, then consider a single graphics card card in the GTX 580 for gaming. You get a lifetime parts and labor warranty and incredible performance (1536MB/ 384-bit/ GDDR5/ Effective Memory 4050 MHz/ Core Clock 797Mhz). If you are looking for a media center card to play movies on, then grab the HIS Radeon HD 4670 Graphics Card H467QR1GH which has a HDMI port for easy connectivity between your PC and HDTV. 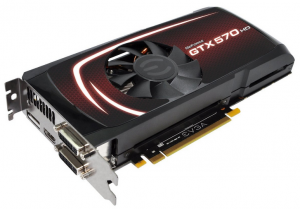 We hope you’ve enjoyed our list of the best gaming graphics cards of 2011. If you have, then take a look at our other top ten lists in the “tab” sections above.